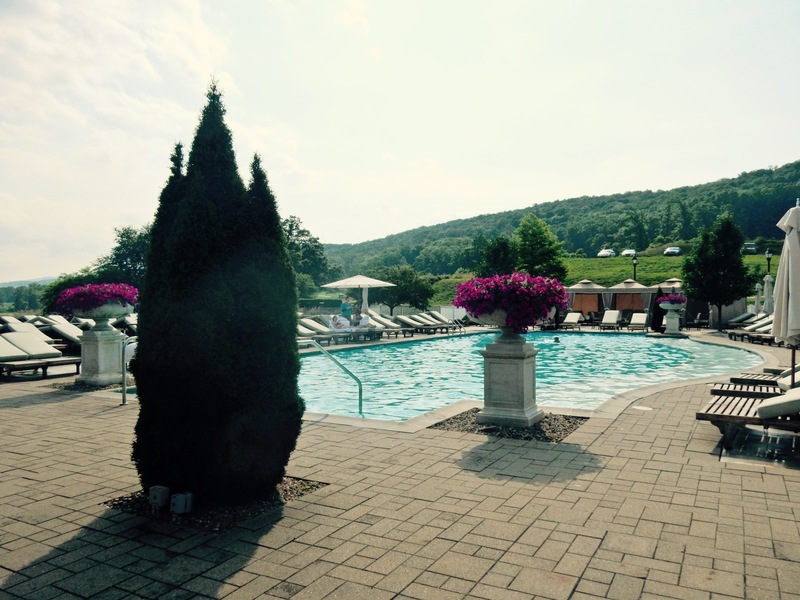 In the late 1700’s, Dr. John Anderson learned that Native Americans used the water emanating from the springs at what is now the Omni Bedford Springs Resort in Bedford PA, for healing. Believing the springs to have curative properties, Anderson purchased over 2,000 acres and began to bring patients to this western area of Pennsylvania. Word spread, and when wealthy people started making the pilgrimage here, in 1806 Anderson built the Stone House as a sanatorium where weary patients could drink and swim in the restorative water. Thomas Jefferson stayed a few weeks in 1819, James Buchanan considered this his “summer home,” and other US Presidents have visited since then. 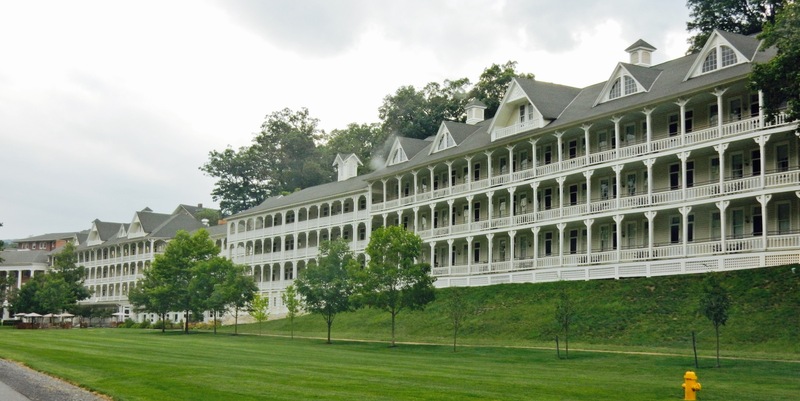 As a favorite mid 1800’s vacation spot for Southerners, Bedford Springs was one of the only northern resorts not burned down by Confederates during the Civil War. Over the years, the property morphed into a summer resort for the rich and famous, and more and more buildings were added on, lending a unique asymmetrical multi-architectural style to the meandering building. 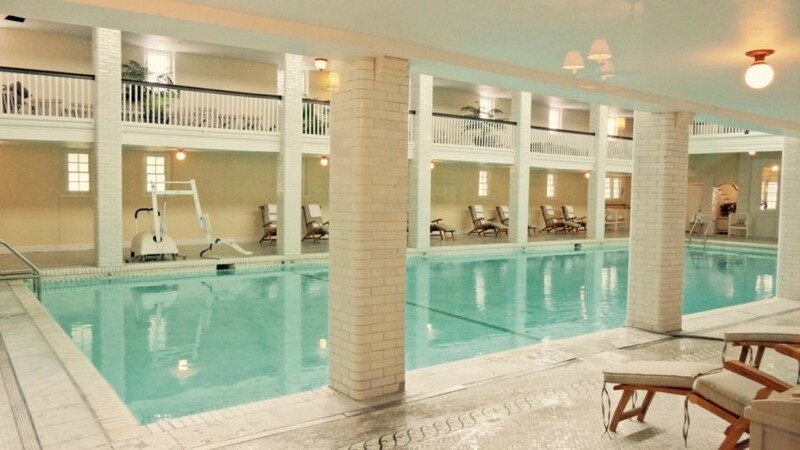 Bedford Springs resort featured one of the first golf courses and one of the first indoor pools in the United States. The property remained a popular hotel until the 1980’s when resort travel the world over declined. 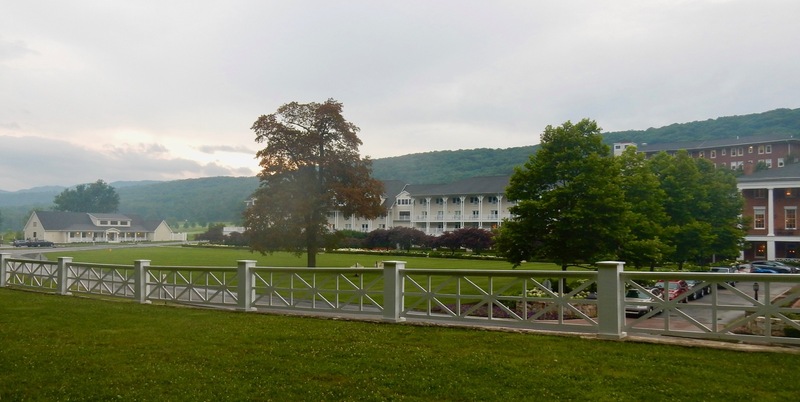 In 1984, the Bedford Springs Resort was named a National Historic Landmark, and in 1986 it closed. 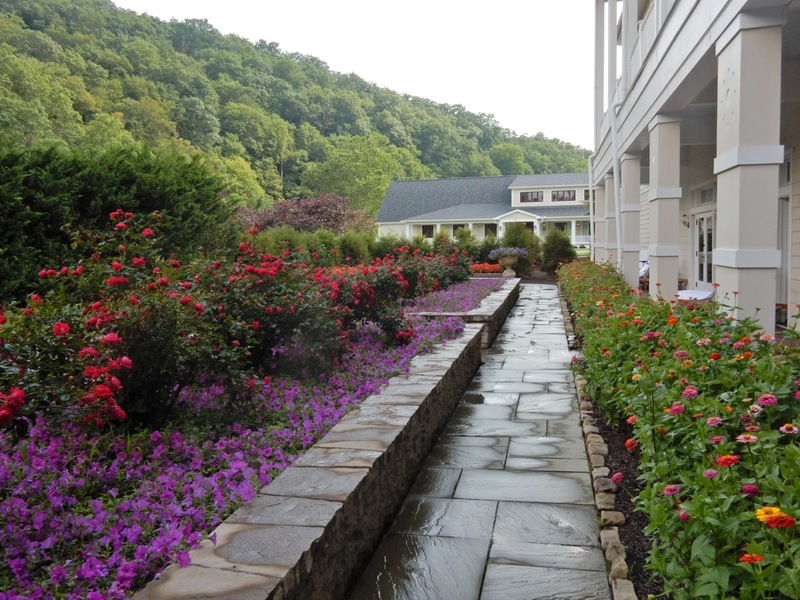 Enter new owners in the 1990’s who sunk $120 million into renovations, reopening the hotel as the luxury 216-room Omni Bedford Springs Resort in 2007. Renovations were cleverly and appealingly done – using fixtures and colors matching the hues and period amenities of each distinct building. 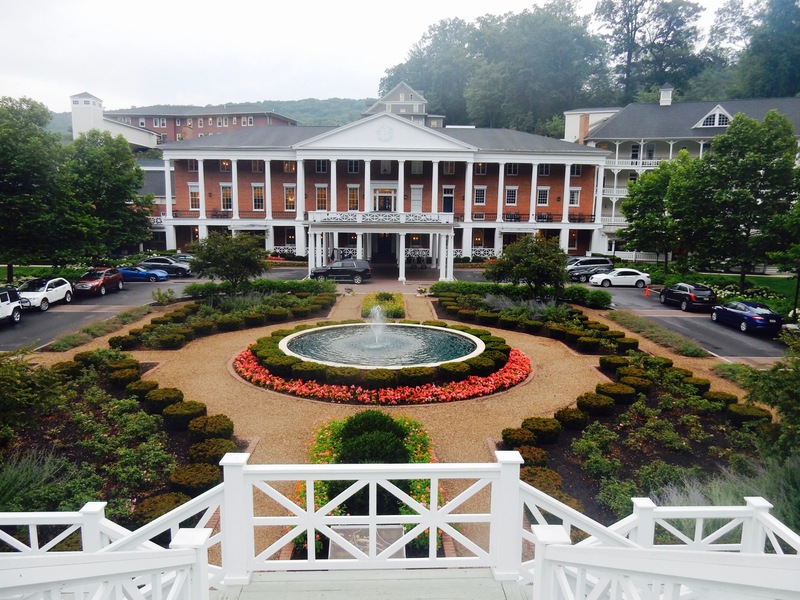 Even on a dreary, grey, and drizzly day, eye-catching landscaping and gardens brighten up this imposing place. The Colonial-style lobby is large and appealing, with a fire in the fireplace, lots of windows and natural light, period décor, and a double split staircase leading to ballrooms on higher floors. 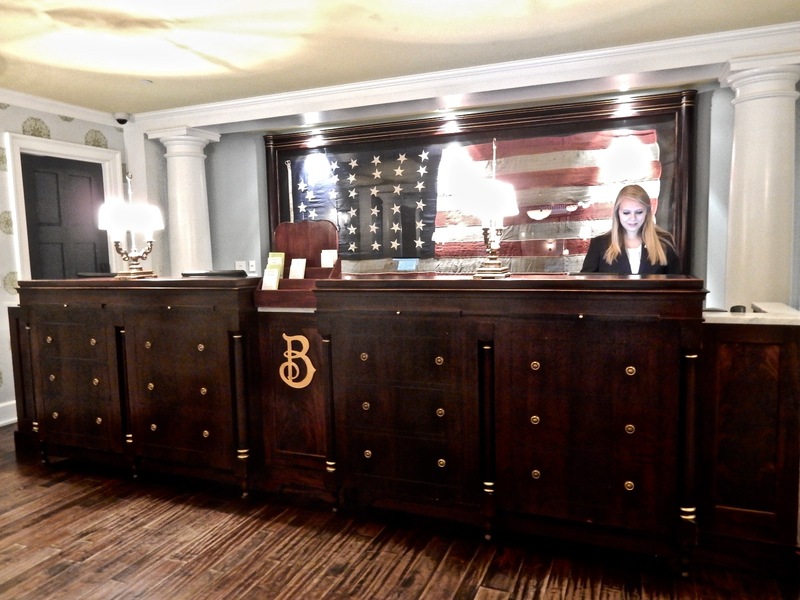 There’s a rare 1889, 39-star US Flag behind the reception desk – one of just several in existence worldwide. 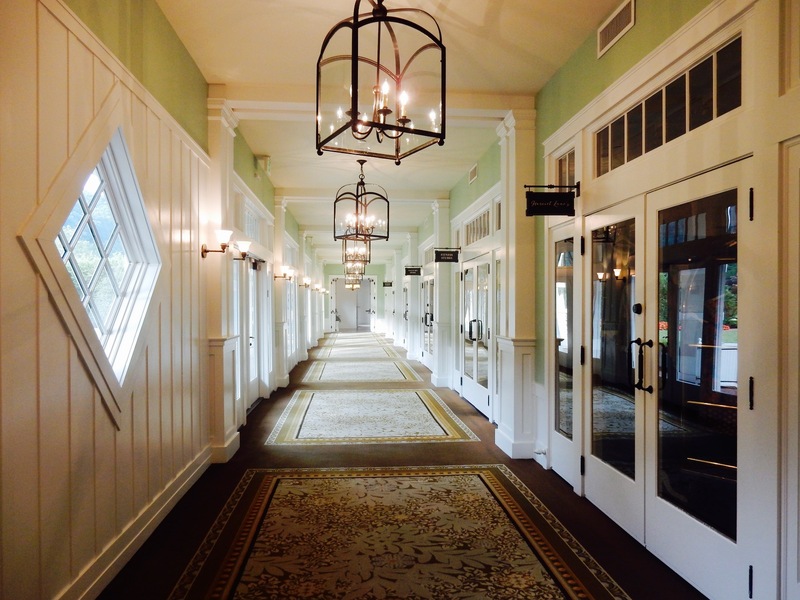 Each room and corridor throughout several buildings serve as museum galleries showcasing photos, art, and artifacts from the resort’s early years to present. There’s so much to take in, I recommend taking a $10 hour-long tour of the property offered daily at 10am, and additionally on Friday and Saturday at 1pm. Guestrooms are designed to best represent the time period in which each corresponding building was constructed. 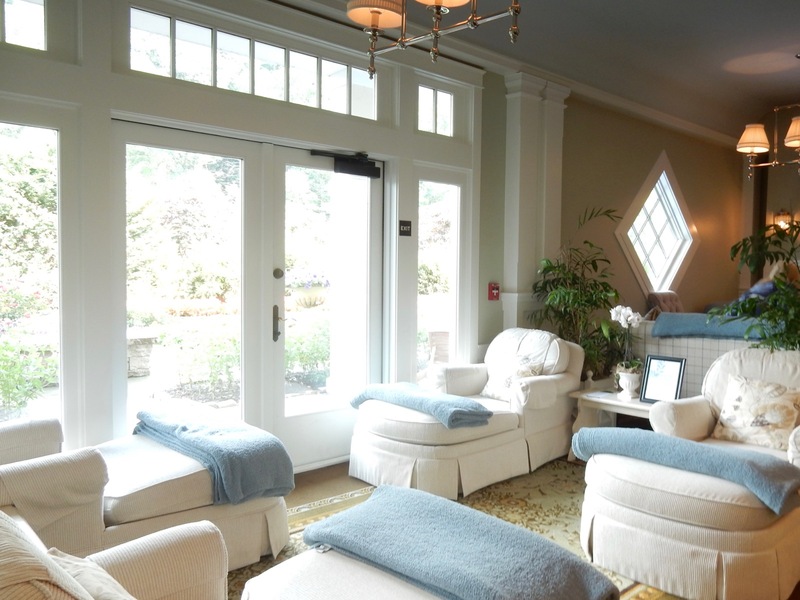 The new Spa Rooms exemplify an atmosphere of serenity, in a pastel palette of whisper blues and greens. 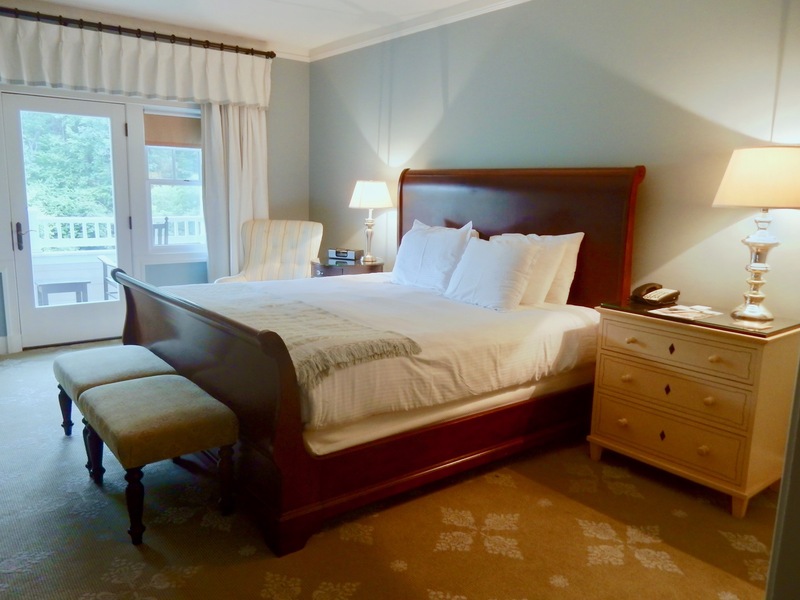 The wood sleigh bed is topped with cloudlike bedding and the softest of sheets. A balcony with several chairs overlooks hills and hiking trails. Bright French Doors enter onto a Carrera marble and subway tile bathroom. Understated opulence. 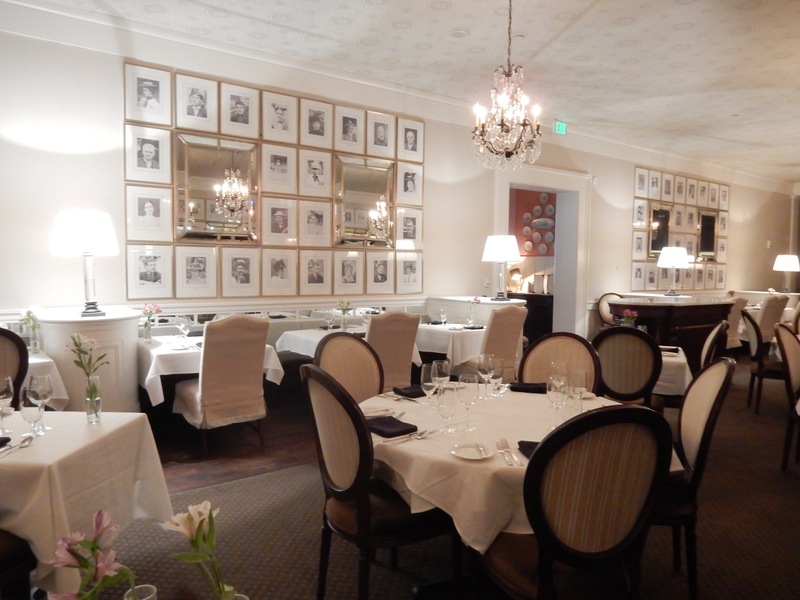 There are four full time restaurants on site, including the upscale steak house, 1796 (referencing the year Anderson purchased the property), the casual Frontier Tavern, Tillie’s at the Golf Clubhouse, and my favorite, the Crystal Dining Room, a fantasia of white, with black and white portrait photographs blanketing the walls, and glittery crystal chandeliers. It’s like dining within a 1920’s movie. 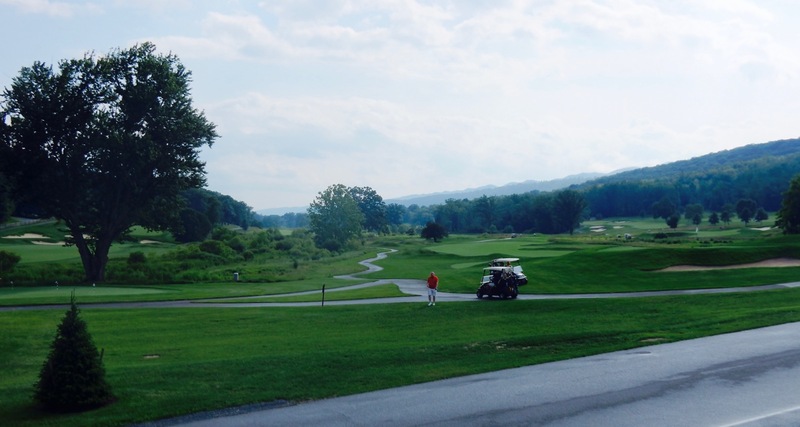 One of the Top 100 Golf Courses in the USA, the 18 hole Bedford Springs course was first designed by Spencer Oldham, and then redesigned by A.w. Tillingast and Donald Ross. 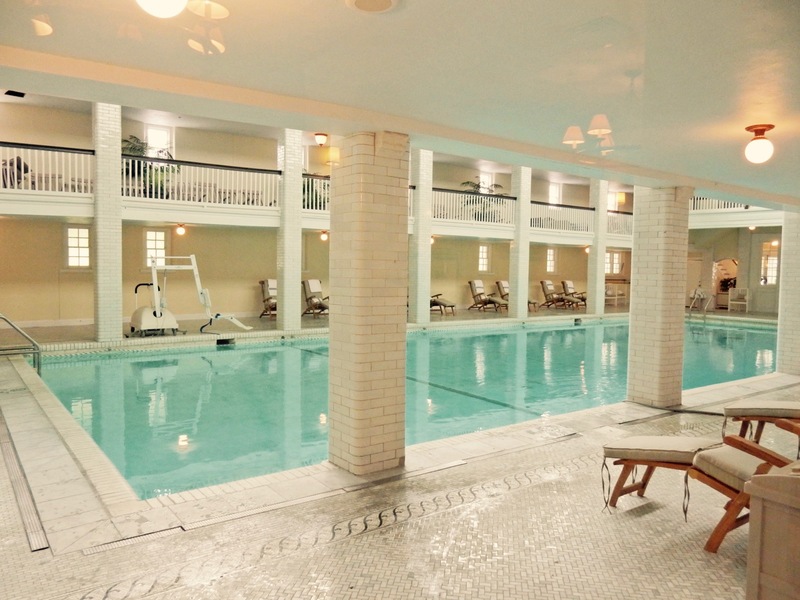 Built in 1905, this indoor mineral spring-fed pool was one of the first in the country, originally 9 feet deep from end to end: just the right depth to inspire guests to swan dive from the overhead balcony. The pool has since been reconstructed with a shallow area, but remains spring fed and crystal clear. There are miles of footpaths from easy to difficult ranging from half a mile to 4.5 miles, as well as 2 dedicated mountain bike paths – one moderate, one difficult – on the property. In addition to a full-service Spa, An on-site outfitter arranges Segway Tours, Archery, Fly-Fishing, UTV, horseback rides, and trap shooting. 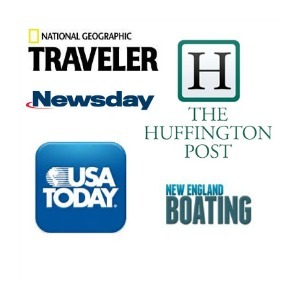 Rooms from $239 per night include parking. 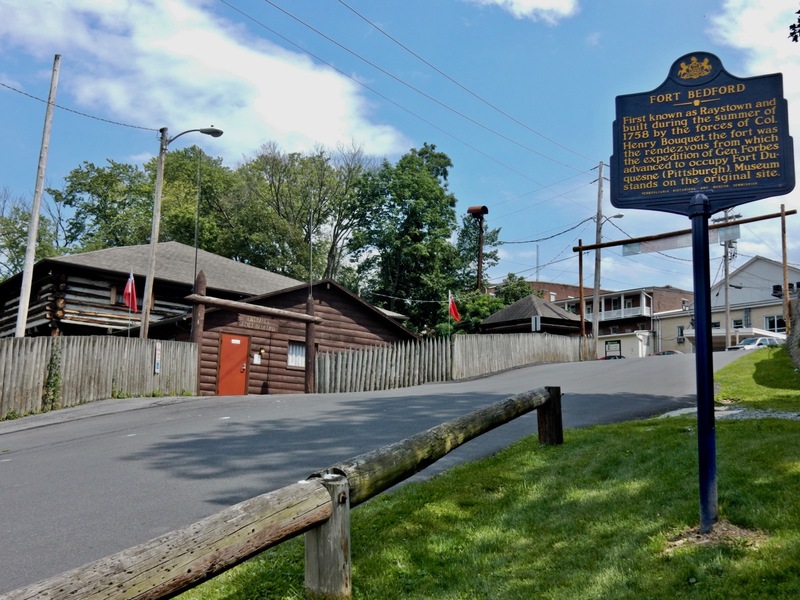 Bedford PA has significant frontier history, best explored at the Fort Bedford Museum – a 1958 recreation of a 1758 French and Indian War Era fort right on site – and the Espy House – President George Washington’s headquarters during the 1794 Whiskey Rebellion (which caused nearly as much agitation as the earlier British tax on tea). 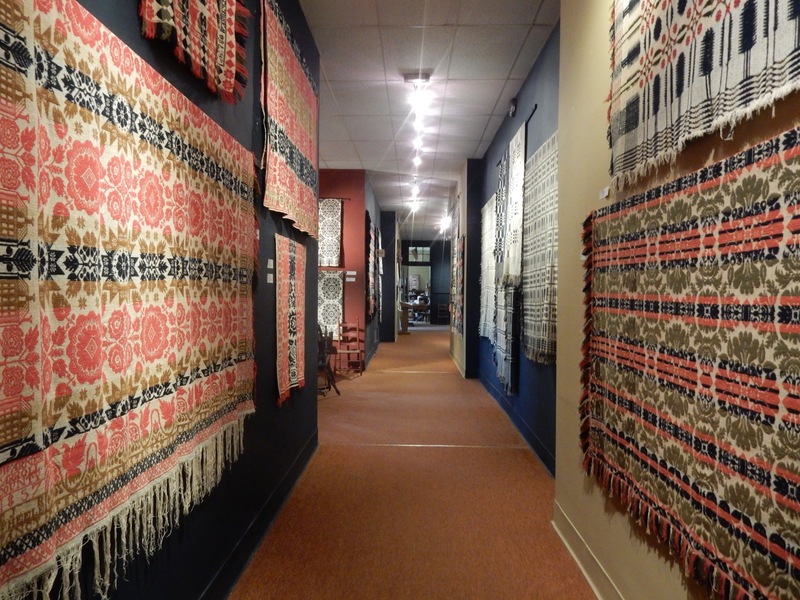 VISIT: National Museum of the American Coverlet, Bedford. But the best and quirkiest use of your time away from the Omni Hotel would have to be a visit to the National Museum of the American Coverlet – situated in the 1859 Bedford Primary School. Weird and wonderful enough to warrant mention on the Atlas Obscura website, antique coverlets earn their stripes, so to speak, as an American art form here, displayed in all their magnificence throughout a labyrinth of old classrooms that now serve as soaring galleries. “People know about quilts, but not about coverlets, which are made on a loom,” says Melinda Zongor, who, with her husband, Lazlo, founded the museum in 2006. All 500-600 coverlets, dating from 1771 to 1889, have been donated and are in beautiful shape. 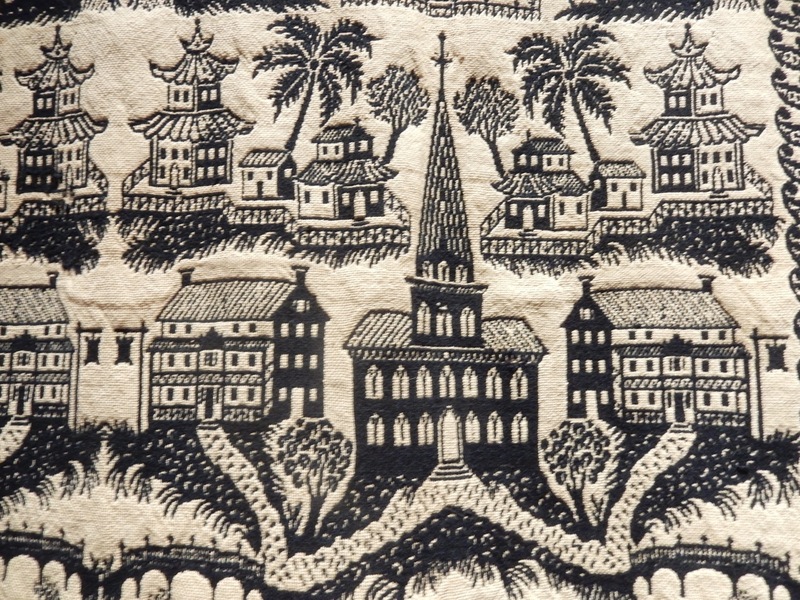 Most have the owner’s name and date woven into the design, and some of the more dramatic ones feature silhouettes of buildings and nature scenes. All coverlets are juxtaposed with complex looms of the day. The Museum also offers classes in weaving and spinning – and is gaining aficionados – though if you come midweek on a summer’s day, the place may seem closed. Even if you don’t see a car in the parking lot, if within stated operating hours, go to the front door. The museum will most likely be open. Open daily, Mon – Sat 10-5, Sun 12-4, $10. 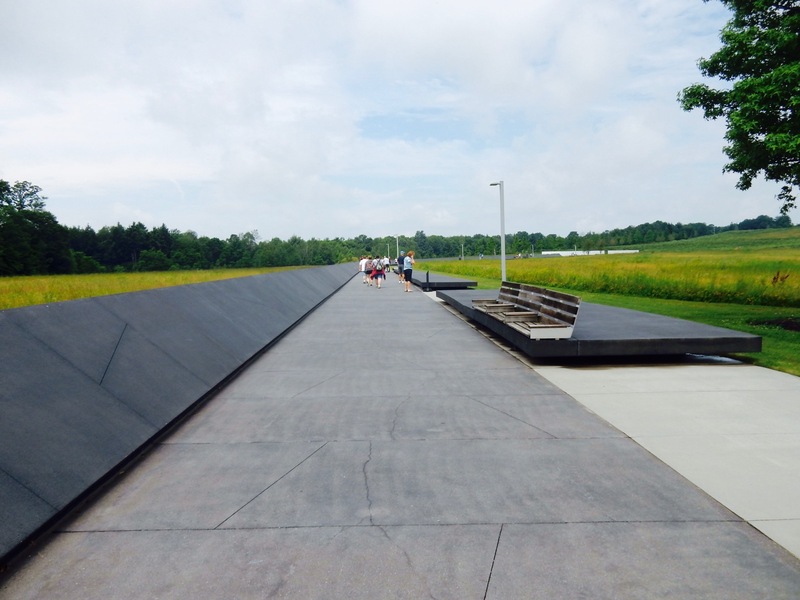 VISIT: Flight 93 National Memorial, near Shanksville. 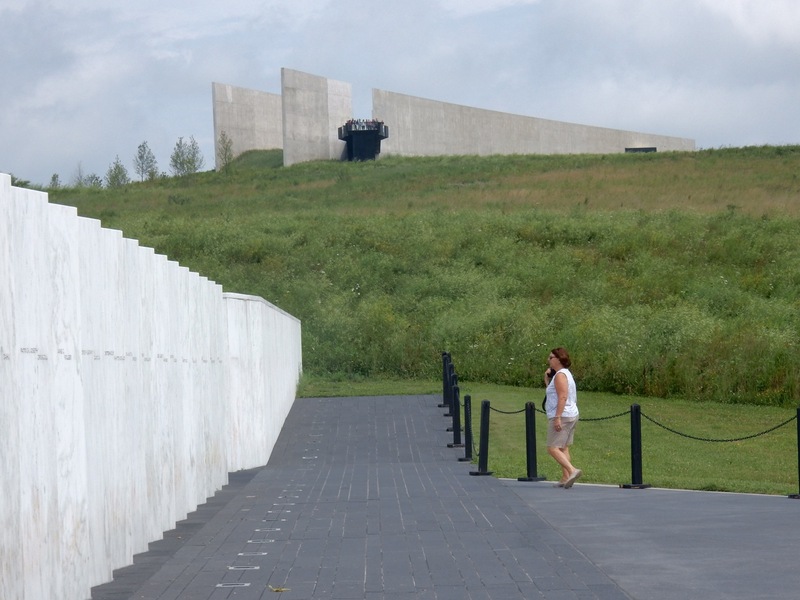 On a much more somber note – if you are heading West to Pittsburgh, or even if you are not, drive 30 minutes to the place where, on September 11, 2001, heroes on board Flight 93 forced down a hijacked plane heading to the US Capitol building. 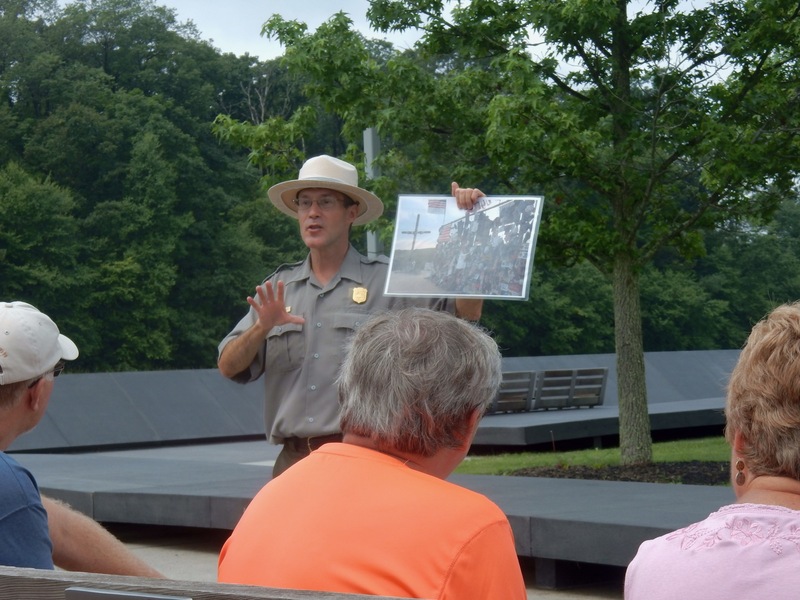 The Memorial – now a National Park – is composed of several structures, including the Visitor’s Center and Memorial Plaza, within the crash site bounded by the hilly Allegheny Mountains. 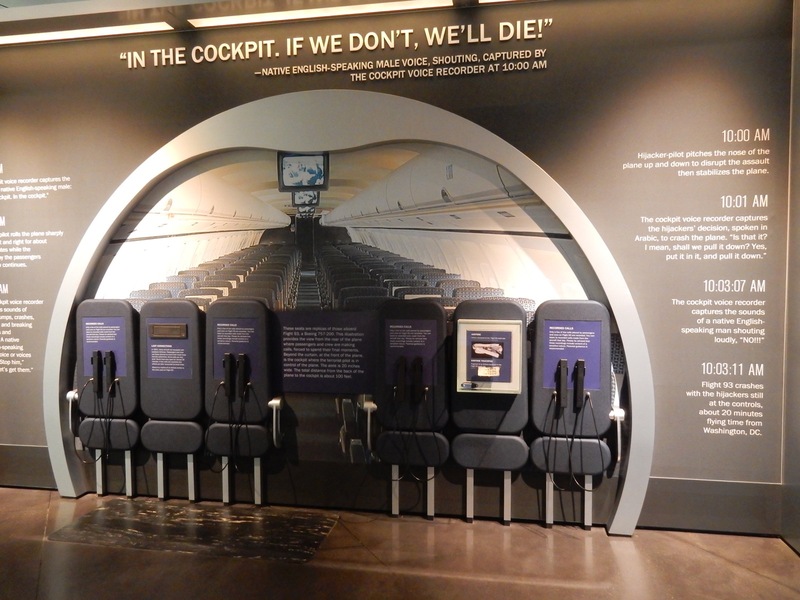 You’ll likely encounter groups of sobbing people entering the Visitor’s Center, which tells the story of the 33 passengers and 7 crew members who deliberately thwarted a terrorist attack, knowingly risking their own lives. According to Park Rangers, like Thomas Burnett, Jr., who give talks several times a day, the fact that Flight 93 took off 24 minutes late made all the difference in the world, allowing passengers, in contact with loved ones, to know what was happening that morning. Travelers on board made a total of 37 calls – some leaving tearful messages on answering machines, now part of the heartbreaking multi-media exhibit. Flight 93 crashed at a 40-degree angle at 563 MPH with a full tank of fuel, leaving a 40 acres debris field and an impact crater 30 feet wide and 15 feet deep. It missed Shanksville’s Elementary School, with kids just back from summer break, by three seconds. The footprint of Memorial Plaza runs along the debris field, and extends to a Wall of Names at the impact site. Come to pay tribute to those who lost their lives to save others. Open daily 9-5 (except for New Years, Thanksgiving and Christmas), free.